Last week I attended the In the Loop 3 conference, organised by the Knitting Reference Library, part of the Winchester School of Art. From the individual to the industrial and from the technical to the intellectual, I had no idea that a conference on knitting could generate such a diversity of topics; there were 28 presentations in all. (1) Dr Martin Polley, Senior lecturer in Sport (he’s a sport historian) spoke engagingly about Knitting and the Olympic Games. 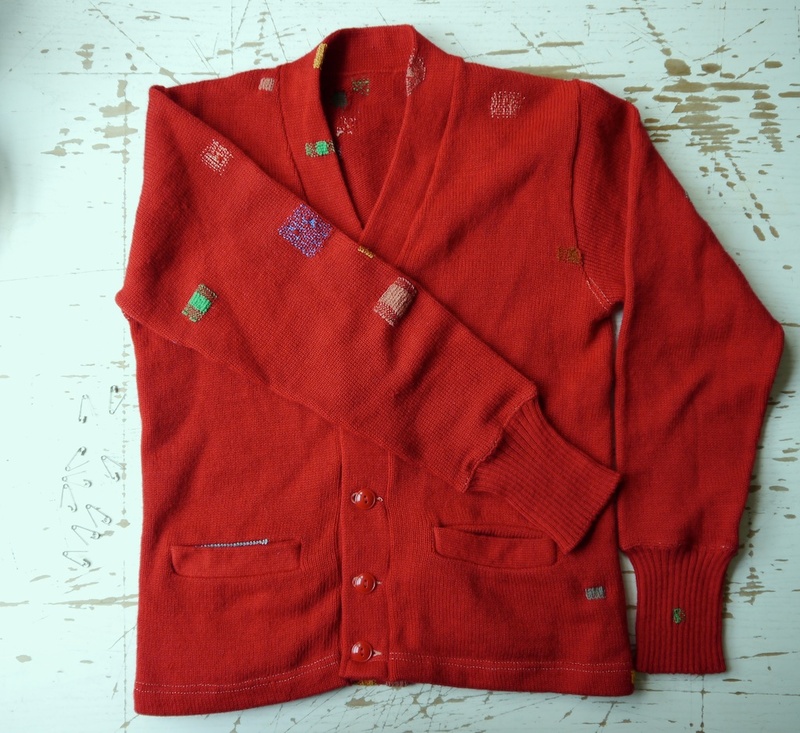 Not only was knitting part of the predecessor of the Olympic Games, The Much Wenlock Olympian Games, where women and girls were judged on the fastest and neatest knits; knitwear has also caused controversy at more than one Olympic event. Most recently the LZR Racer swimsuits developed by Speedo to emulate sharkskin, gave swimmers an unusual advantage. These suits have been banned since the 2008 Games saw an incredible amount of new records. (2) Sharon Evans-Mikellis, senior lecturer in Fashion and Textile Design at AUT University, New Zealand discussed garment shape innovation in knitwear design. I don’t know a single thing about knitting machines, let alone the high-tech ones that Sharon works with, but I was struck by the fact that even with the latest technology, knitting machines are usually used to emulate flat knitting, even if they can knit in 3D. Sharon explored some new ways of shaping knitwear using these capabilities, which is much more easily done in hand-knitting. 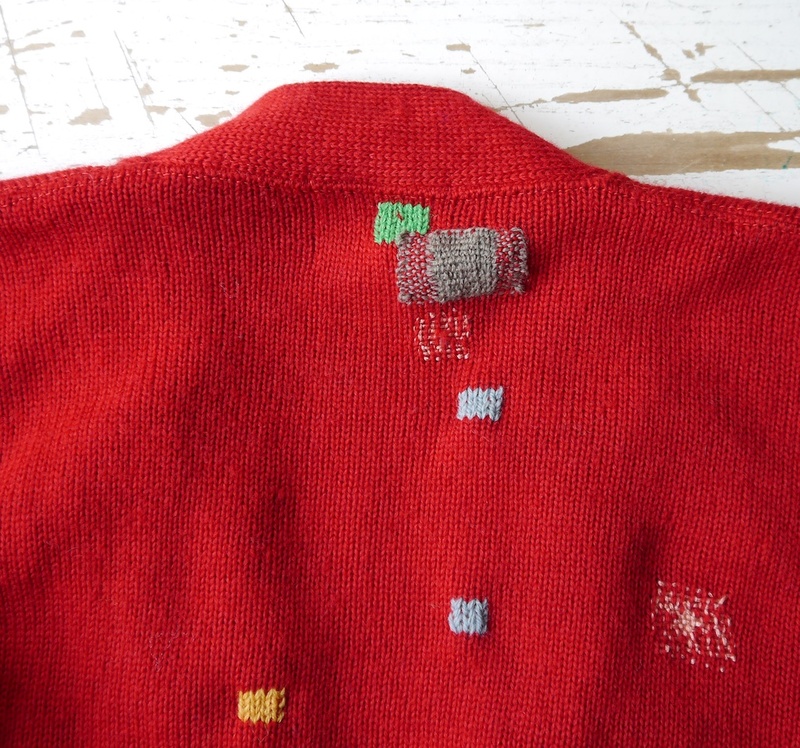 Her talk has inspired me to try some new sweater designs, on which I will report in due course! (3) Hazel Tindall, knitter, spoke about her mother’s diary she wrote in the 1960s. 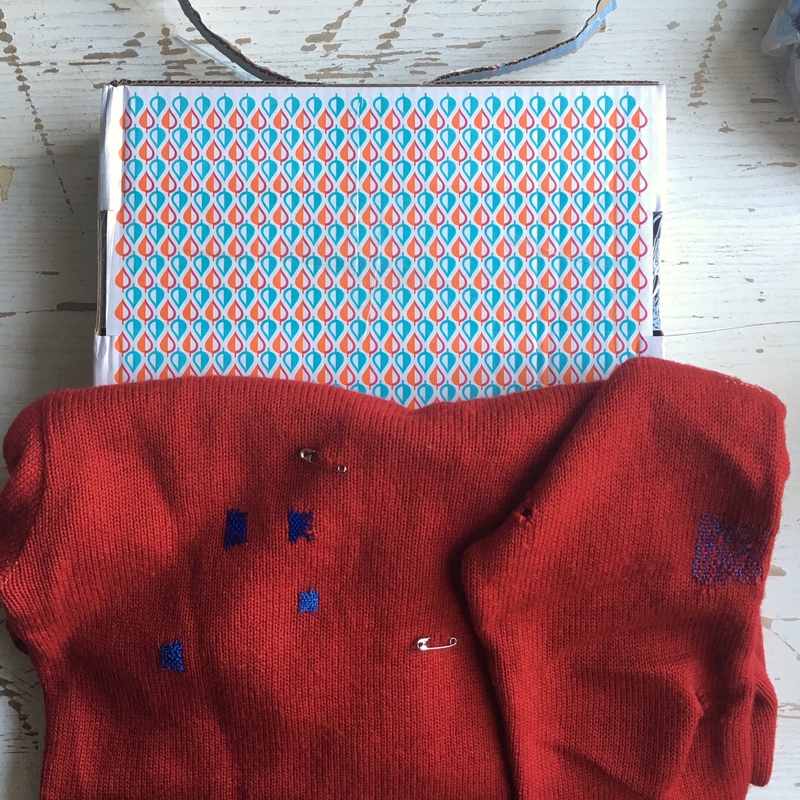 It gave a personal voice on how knitting pervaded this woman’s live, who much preferred reading and writing. 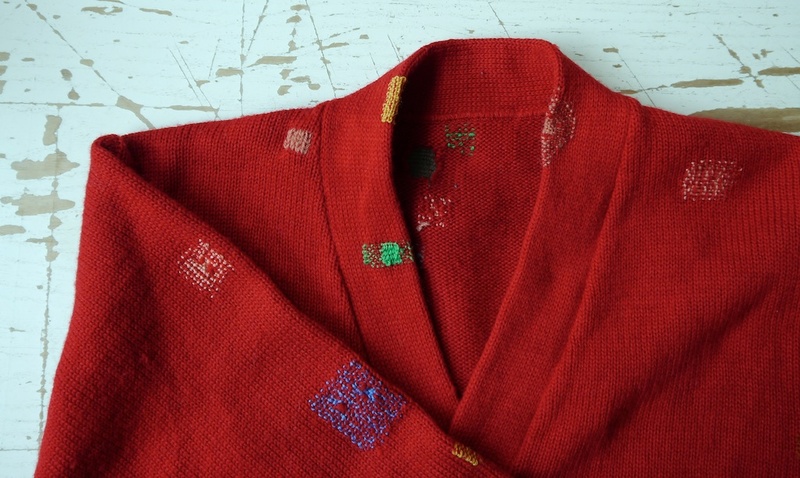 Before the discovery of oil, knitting was about the only way to earn extra cash for housewives in rural Shetland, so apart from making garments for her family, she knitted goods for local knitwear buyers. Hazel read out snippets of the diaries, showed some of the garments mentioned by her mother, and gave an insight in how live must have been for many a housewive in Shetland at the time. (4) Juliette, knitter. I only spoke to Juliette during dessert at the conference dinner, but I so admire her. 78 years of age, she was so lovely to talk to, and she knew so much about knitting. She was not only wearing a perfectly fitting cardigan, but on her shoulders was draped a beautiful Shetland lace shawl (in Jamieson’s cobweb, of course). Then she pulled out of her bag some miniature knitting she was working on. 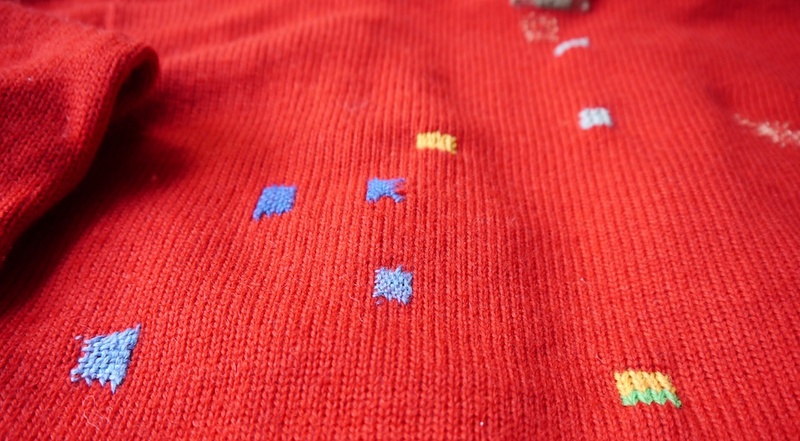 Jumpers knitted to a 1:12 scale, using needles made from piano wires and knitted in polyester sewing thread. And not just any old stocking stitch. Oh no, one was knitted in entrelac and another in a Sanquhar pattern. (5) Helen Whitham, recently graduated with a first class honours from Duncan of Jordanstone College of Art and Design showed some of her graduation collection and spoke about her research, in which she concluded that knitted textiles from Shetland are authentic products expressing a time, place and culture and offer a basis for emotional attachment. This then, will encourage owners to hang on to these garments for longer. In her graduation collection Helen managed to create a whole new and more intellectual approach to Shetland knitwear, creating her very own personal ‘tradition’ informed by colours and shapes of things she found, amongst others, on the beach. Amazing. (7) Sandy Black, professor of Fashion & Textile Design & Technology at London College of Fashion, University of the Arts. Sandy discussed couture handknitting in the postwar period, and especially the work of Maria Luck-Szanto. Hungarian by birth, she came to London in 1939 to establish her hand knitted fashion business, using the skills of British knitters to produce her unique creations which adorned the elite society of London and beyond. Her designs contained many innovations, including the minimizing of seams, and influenced the patents for new machine knitting techniques which are only now possible to execute, with the current advanced knitting machines. Looking at the incredible detail of these handknitted garments, I feel all the more inspired to attempt a high finish on my own knitted garments. Last but not least I, too, presented at In the Loop 3. I spoke about my Curiosity Cabinet of Knitting Stitches. An installation that had to be put on hold due to personal circumstances. However, when I have confirmed new dates for the exhibition, I will write a detailed post about it. 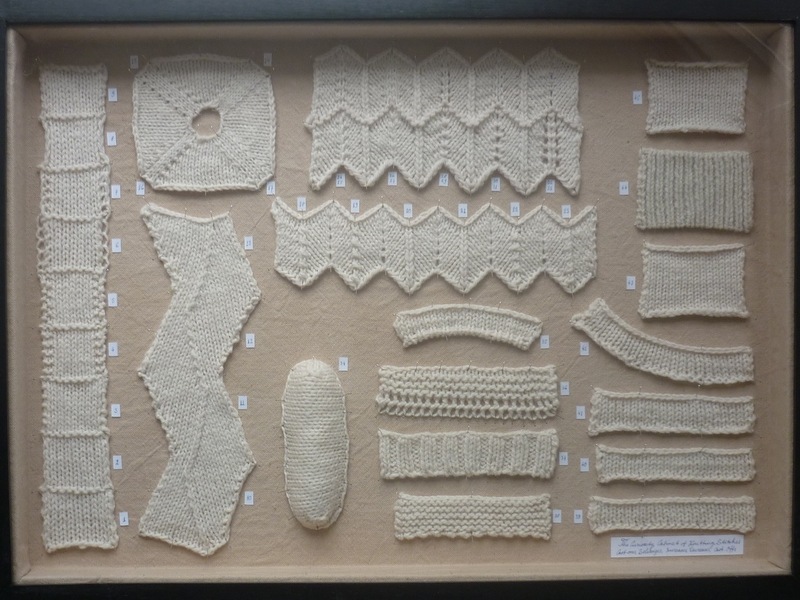 The Curiosity Cabinet of Knitting Stitches gives a voice to some of the more esoteric knitting stitches, by presenting them as the rarities they are, by displaying swatches as a natural history collection of yore. It will be accompanied by a series of short workshops, to show others some of these techniques. I got so much good feedback from the audience, that I can’t wait to have it all sorted out and share these cabinets with all of you! There, I managed to squeeze in a picture after all! I hope this post has given you a flavour of the conference. Personally, I cannot wait till In The Loop 4! Post updated on 11 September to correct spelling mistake in Helen Whitham’s name, and put a link in to her blog.